No games found for 2019-jv-girls-soccer. 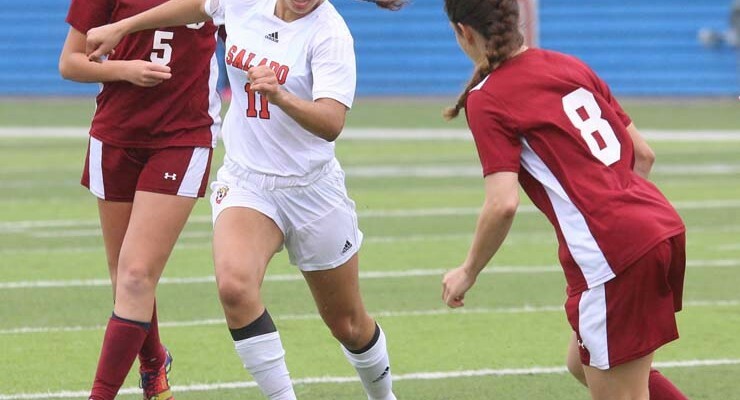 With Reagan Morreale getting a hat trick, the Salado Lady Eagles shut out the Taylor Lady Ducks in the first round of the 4A girls soccer playoffs March 23. Salado will play Canyon Lake in the area round game next week. Salado Lady Eagles will face the Taylor Lady Ducks in the first round of the 4A Soccer playoffs at 5:30 p.m. March 23 at Manor High School. Annie Ewton was on fire last week with hat tricks against Jarrell and Academy last week. Salado is 13-4-1 and 9-1 in district as of presstime for this edition and will face Lampasas on March 10. Dec. 17 Alumni Game/Meet the Eagles/Soccer BBQ Salado Practice Field 11 a.m. 11 a.m.
Jan. 2 Gonzales Gonzales 3:00 p.m.
Jan. 9 Harker Heights HHHS 5:30 p.m.
Jan. 9 Ellison EHS 5:30 p.m.
Jan. 16 Liberty Hill LHHS 5:00 p.m. 6:30 p.m.
Jan. 23 Gatesville GHS 5:30 p.m. 7:00 p.m.
Jan. 30 Gatesville Eagle Field 5:30 p.m. 7:00 p.m.
Feb. 6 Liberty Hill LHHS 6:30 p.m.
Feb. 6 Taylor Eagle Field 5:30 p.m.
Feb. 13 Liberty Hill Eagle Field 5:00 p.m. 6:30 p.m.
Feb. 20 Gatesville GHS 5:30 p.m.
Feb. 21 Wimberley WHS 4:00 p.m.
Feb. 27 Gatesville Eagle Field 5:30 p.m. 7:00 p.m.
Mar. 6 Ellison EHS 5:00 p.m.
Mar. 10 Lampasas LHS 4:00 p.m. 4:00 p.m.
12/29/16 Harker Heights High Lady Knights Lady Knights Harker Heights High School T.B.D. 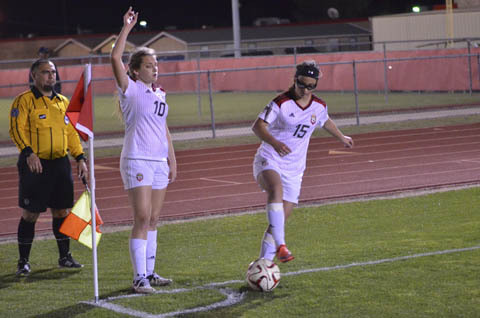 With a near-perfect season that ended in the State Semi-final game against Jasper, Salado Lady Eagles dominated the 25-4A All District Team that was released last week. 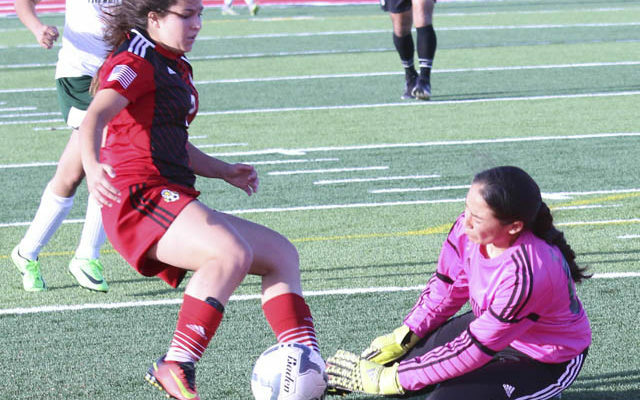 A shot that just slipped through the hands of senior goalkeeper Sam Isbell at 85:25 in the Salado Lady Eagles semi-final game against the Jasper Lady Dawgs April 13 at Georgetown’s Birkelbach field was enough to give the Lady Dawgs the 1-0 win. 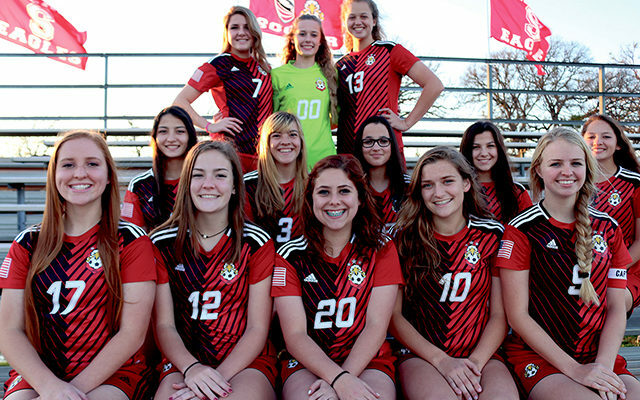 Salado Lady Eagles will face the Jasper Lady Dogs (22-3-1) in the 4A girls soccer state semi-finals at 11 a.m. April 13 at Birkelbach Field in Georgetown after beating Boerne 3-1 in the Region IV finals on April 9. 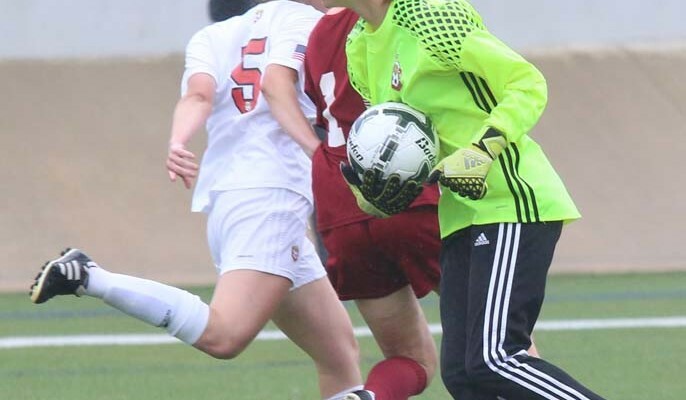 Katey Ewton took a cross shot from Tyler Pierce and put it in the net with less than five minutes left in the Regional Finals April 9 to put the Lady Eagles lead out of reach for Boerne, winning 3-1 to earn Salado’s first berth in the State Soccer Tournament.